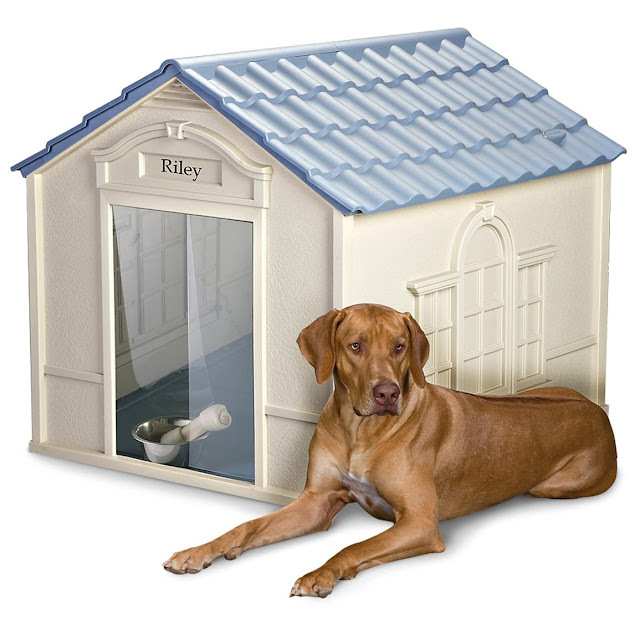 A dog house is the most important thing for you as an owner to purchase for your dog, especially if he spends a lot of time outside. It keeps your pet protected from the elements and also providing him a warm, safe place to relax. The type of house you choose varies with where you are located, what kind of dog you have and how the weather is in your area. If winters are very cold in your area, choose a dog house that is heated or one that you can accommodate a heated mat. The house should also be well insulated and waterproof. Choose a dog house that is well ventilated if summers are very hot in your area, place it in a shaded area and furnish it with a Cool Bed, particularly if temperatures get above 100 degrees. If your area is prone to rain and wind, you might also want to consider a house with a weather flap, to help keep out the elements. Choose a size that will permit your dog enough space, but also small enough to keep him warm. The house should be big enough to allow your dog to easily enter, turn around and lie down (the same as your dog's crate). If the doghouse is too big, your dog's body heat will have trouble keeping the house warm. Measure your dog from the ground to the top of its shoulders, the door should be no less than 75% of this height. Also, the height of the house should not be more than 50% taller than the height of your dog from his head to his paws. The length and width of the house should be more than 25% of your dog’s length from his nose to his flanks (don't count his tail). When installing your dog’s house you will want to take a few things into consideration. You will want to keep it in a shady area so it doesn't get too hot in summer. You may have to relocate the dog house to keep the wind from blowing in it in the winter. Position it away from the bottom of a hill or slope as rain can cause the house to flood as it flows down the hill. It is a good idea to consider elevating the house to help keep out parasites and provide some insulation from the cold ground. There are a huge variety of dog houses on the market, but Suncast DH350 Dog House is the best, is attractive, safe, easy-to-assemble dwelling for your dog to call home. It comes with removable roof for easy cleaning, vent to improve air circulation, easy snap together assemble without any tools require, and durable resin construction. This is your dog new home away from home. If you want to buy this dog house, I highly recommend you purchase online through Amazon at this link. It's currently on sale here only through Amazon.